Discover the developments in robotics and automation technology and explore the limitations of our current knowledge along with breakthroughs in this field of study. 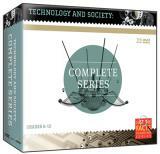 Just the Facts: Technology and Society examines the importance of technology in society. Beginning with important advancement in medicine, this collection presents a comprehensive overview the main technological advancements. In this program, Civil Engineer Epi Salazar helps host, Jeff Gardner get a grasp on the technical side of roads, bridges and buildings. As human stand-ins, dummies and their mobile counterparts, robots have been sparing us risk to life and limb and saving our lives for decades. Leaders of organizations need to understand how cognitive processing, decision making, memory, and motivation change as they, their employees, and their customers age. Dr. Carstensen shares research findings on motivation grounded in the uniquely human perception of time horizons and the theory of �socioemotional selectivity,� in which our values and goals change over time. In this program, Melody visits cyberspace where she teams up with website designer Mona Currey to show what you can do with a working knowledge of computers. 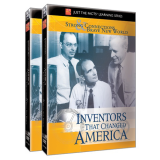 As The Wonder of Electricity spotlights the developments in television and radio, watch these two inventions permeate every aspect of society, especially the news, sports and music industries. Then focus on how the camera redefined our image and how the computer age unleashed our imaginations and fantasies. Thanks to visionaries like Alexander Graham Bell and Henry Ford, the areas of communication and travel have journeyed great distances in a short time. 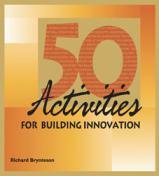 Inventions and Innovations explains how the atom is the basic building block for inventions that attempt to conquer the skies, explore the ocean depths and unlock the limitless opportunities of computers and the Internet industry. This program commemorates the life of Benjamin Franklin, one of the most prominent Founders, early political figures and statesmen of the United States. One of the earliest Founders, Franklin was noted for his curiosity, writings, ingenuity, and diversity of interests. His wise and scintillating writings are proverbial to this day. He shaped the American Revolution, despite never holding national elective office; a leader of the Enlightenment, he gained the recognition of scientists and intellectuals across Europe and the United States. 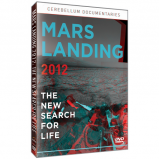 This one-hour special introduces the audience to a team of dedicated scientists who brought Curiosity to life. Brand new science and technology that had never been attempted made this mission a reality. Students learn about the potential that lies in the development of alternative energy sources. Topics include: wind, solar, biomass, small-scale hydropower, geothermal, hydropower and fuel cells. From the Wright Brothers to Charles Lindbergh; from the DC-3 to the F-117; the 20th century has been defined by remarkable aircraft and the people who have flown them. In this video, we will explore the history of aviation; the First flight at Kitty Hawk, the Spirit of St. Louis and the first transatlantic solo fight, and the world�s first "invisible" aircraft. All this plus much more as we take the journey through a Century of Flight. This program presents the life of Thomas Edison, a true "rags to riches" story. Through hard work and determination, he helped in creating the modern world in which we live today. Considered to be the greatest inventor of his or any time, Edison's wonderful inventions were a driving force of the Industrial Revolution. From the stock ticker to the phonograph; from the light bulb to motion pictures, his inventions guided America into the 20th Century. The science behind nuclear power – what nuclear fission is, how a nuclear power station works and the ‘nuclear fuel cycle’ – is explained in more detail in Nuclear Energy: The Science. This program presents the story behind Henry Ford, a man unique to his world. A man whose vision and drive created the backbone of the Industrial Revolution and the American automobile industry. From humble beginnings, Henry Ford used his natural gift for mathematics and his love for machines to propel himself into history. He was a pioneer in automobile technology and the inventor of the mass-production assemble line. Ford�s dedication to his dreams has affected us all and helped shape the world in which we live. Inventions and Innovations feature rare footage of pioneering inventors Thomas Edison, Alexander Graham Bell and Henry Ford. 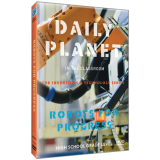 Plastic Planet examines the supply and demand development of plastic and its synthetic by-products of vinyl, polyester, Lycra, nylon, rayon and Teflon. You will be intrigued to see how plastic has revolutionized daily chores, seduced the retail industry, and ushered in a new age of music with compact discs. Narrated by Tom Baker, Plastic Planet explores the breadth of plastic's uses from injection molding technology to plastic surgery. Clearly, plastic is progress, power, and our future. Inventors and their ingenious inventions have shaped society since the beginning of time; always searching for ways to make life easier, better and more convenient. These people of extraordinary talent and boundless energy left an incredible legacy of tools and ideas that improved the quality of life and paved the way for future inventions. 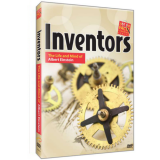 Learn about some of the most significant inventors that ever lived: Benjamin Franklin, Alexander Graham Bell, Thomas Edison, George Washington Carver, and the Wright Brothers. Travel to the biggest, fastest, most exciting engineering, automotive and construction projects across the globe. 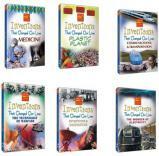 This series highlights a variety of innovative and awing scientific feats in different countries. 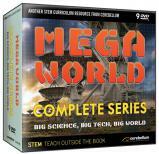 MegaWorld: SUPER PACK- MegaWorld is a fun, fast paced, experiential approach to presenting a country or region�s innovations in science and technology. Hosted by science enthusiasts, Jay Ingram and Natasha Stillwell, Daily Planet is a series that provides discussion and commentary on the scientific aspects of current events. 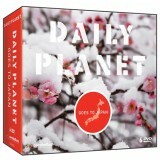 Featuring interviews, field pieces and real-life experiments from around the world, Daily Planet provides a fast-paced, enlightening and entertaining look at what is happening on (and off) our planet.